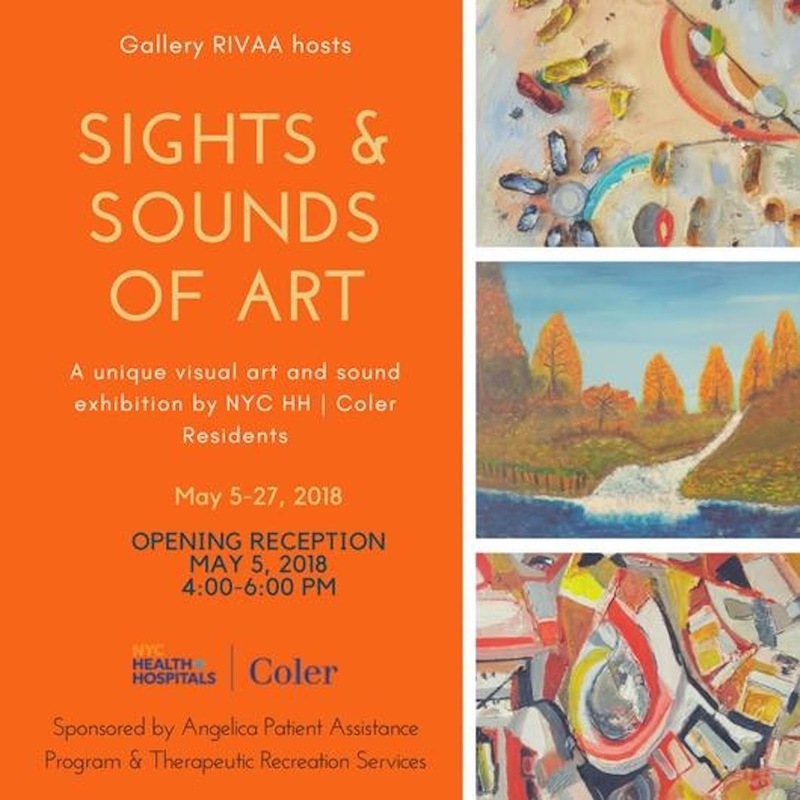 On Saturday May 5, Roosevelt Island's Gallery RIVAA is hosting an opening reception for Sights & Sounds Of Art, an exhibition by NYC Health & Hospital Corp Coler Hospital residents sponsored by the Angelica Patient Assistance Program & Therapeutic Recreation Service. Gallery RIVAA is pleased to invite you to the opening reception of 'SIGHTS & SOUNDS OF ART' - A unique visual art and sound exhibition by NYC HH | Coler Residents, on Saturday, May 5th from 4 to 6pm @Gallery RIVAA. The exhibition is curated by Jovemay Santos and is sponsored by Angelica Patient Assistance Program & Therapeutic Recreation Services. Here's more on the Coler Hospital Angelica Patient Assistance Program & Therapeutic Recreation Service art program. The Sights & Sounds Of Art exhibition at Gallery RIVAA is thru May 27. Good News, Roosevelt Island F Train Service To And From Manhattan This Weekend - How Did NYC Subways Get So Bad? Here's how NYC subways got so bad in recent years. ... There was a fire this afternoon on the 9th floor of 10 River Road at the Manhattan Park residential complex on Main Street on Roosevelt Island at 5:30 p.m. Some 25 FDNY and NYPD emergency vehicles responded to the incident. The cause of the fire appears to be electrical. I saw the article on the Manhattan Park fire - that was my home. I’m a single mother of 3, and I was moving in that day. The movers and I had just finished moving all of our belongings, and I was able to let our pet cat out of his cage and roam free. I left the apartment to pick my kids up in Queens (hadn’t unpacked anything, hadn’t plugged anything in, hadn’t used a single appliance). An hour and a half later, I was driving over the RI bridge, when traffic stopped. 15 or more emergency vehicles rushed by. 10 minutes later, my property manager called and told me there was a smoke condition in my apartment, and to please see him when I arrived at the building. 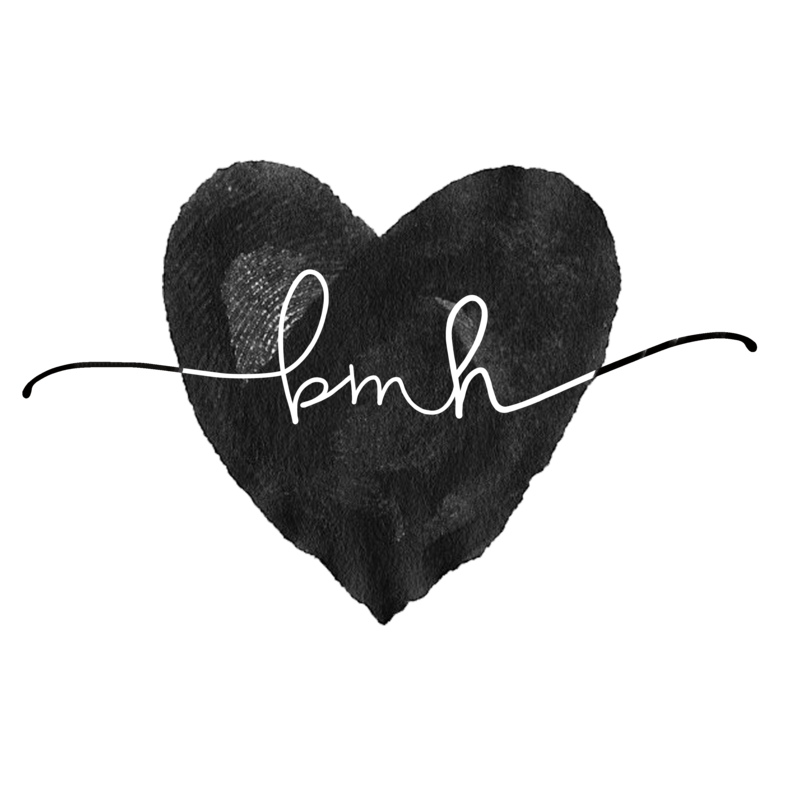 It was the worst evening of my life - nothing was salvageable - we lost all of our furniture and boxes of clothes and dishes and pictures and documents. And most importantly, our dear pet cat (whose name is Cat). The firemen held onto his body, and put him in a box. My kids and I had him cremated on Sunday. On the evening of April 27, 2018, Brittney Gates, a single mother of three and army veteran, lost all her worldly possessions, including her beloved cat ("Cat") in an apartment fire. Just hours earlier, she had moved into this very apartment on Roosevelt Island. What was supposed to be a joyous day, marking a new beginning in a new home for Brittney and her family, turned to a horrific tragedy. Brittney is a courageous, self-reliant woman, who is not quick to ask for help. This is not about her asking for help but about us coming together to focus on solutions so that she and her children can rebuild their lives. Part of the explanation: fare evasion. After meetings with RIOC Public Safety Department Chief Jack McManus and Deputy Chief Kevin Brown, RIOC President Susan Rosenthal announced Wednesday that all Tram would first be warned by PSD officers, and new posted signs, that fare beating is a Class A misdemeanor (under New York Penal Code 165.15 sub 03). Those who fail to comply, and attempt to ride without paying the $2.75 fare, will be issued a summons, she said. Reduced rates of $1.30 are available for seniors, students and the disabled and can be obtained through the NYC Metropolitan Transit Authority website. Rosenthal said PSD officers would be stationed at the location 12 hours-a-day beginning at 7 a.m. and 24-hour video surveillance would be re-activated and monitored for scofflaws. “The Tram costs a lot of money to maintain and it is unacceptable for people to openly do this,” she said. Constructed during a two year period for $6.8 million, the Tram first opened May 17, 1976; and was modernized in 2010 at the cost of $25 million. Service warranties on that new equipment have now expired and RIOC is paying for Tram maintenance, from sub-contractor Leitner-Pomo of America, at full cost. Can I get the numbers that show reduction of tram income. Also I saw a kid about 6-7 years old with parent who slipped under turnstyle. Do children Under a certain age get in free? Children under 44 inches tall don’t have to pay; everyone else taller does. We don’t have a definitive amount for the lost income due only to fare evaders as we can’t accurately estimate how many 2017 Tram riders who left during platform construction, to use the train, bus or ferry, never came back in 2018. However we have been physically observing fare-beaters at RI Tram Station for a period of time now to accurately say this is a serious problem. 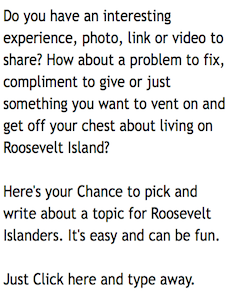 Free Summer Guided tours are being offered at the Roosevelt Island FDR 4 Freedoms State Park. From April—September, Four Freedoms Park Conservancy offers free public tours of FDR Four Freedoms State Park. Led by Conservancy Guides, tours explore the Park’s unique history as a monument to a person, a place, and an idea, as well as the legacies of President Roosevelt and architect Louis Kahn. Tours investigate FDR’s life and legacy and the impact of his Four Freedoms speech, as well as the design philosophy and work of modernist architect Louis Kahn and issues surrounding public memorialization. Tours also provide insight into the history of the memorial, more than 40 years in the making, as well as the Conservancy’s mission and programming, while providing visitors with a better understanding of this special public space in New York City. Tours are offered on a first-come, first-served basis and are approximately 30 minutes long. Weather-permitting, tours are offered Thursday-Sunday at 12:30pm and 3pm. 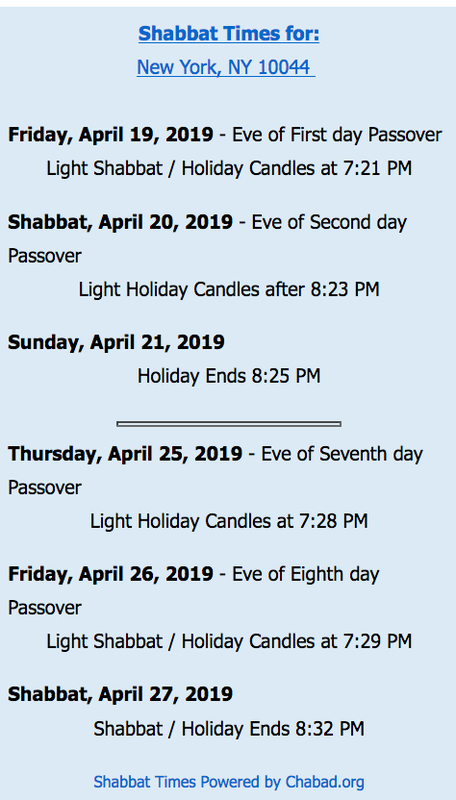 Tour schedule is subject to change; call 212-204-8831 for more details. 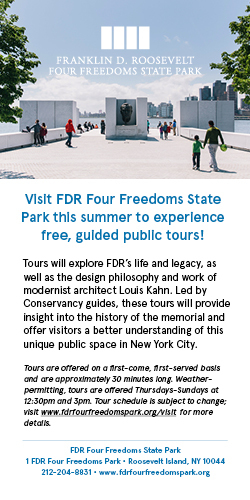 Click here for more info about the FDR 4 Freedoms Park Free Summer Guided tours. The mission of the National Ovarian Cancer Coalition (NOCC) is to work tirelessly to prevent and cure ovarian cancer, and to improve the quality of life for survivors. Founded in 1995, the NOCC is the first and only national ovarian cancer organization with a network of local chapters throughout the country. The NOCC’s Run/Walk to Break the Silence on Ovarian Cancer®, put on by local chapters, serves to increase awareness, honor those affected by ovarian cancer, and raise funds to support our local and national initiatives. . The NOCC’s New York City Chapter will be hosting its 1st annual Run/Walk to Break the Silence on Ovarian Cancer on Saturday, May 19th at Firefighter’s Field on Roosevelt Island. The organization’s signature event, held in 20 locations across the United States each year, helps to fund its programs for earlier awareness, quality of life, community outreach, and research initiatives. With 1 in 75 women diagnosed with ovarian cancer, and no early detection test for the disease, the NOCC aims to create awareness through the event by educating the general public on the early signs and symptoms. The event also centers on honoring ovarian cancer Survivors, remembering those lost to the disease, and empowering the community with knowledge. We invite you to join the nearly 500 expected participants at the New York City event by going to runwalk.ovarian.org/newyorkcity. To learn more about ovarian cancer, visit us at ovarian.org or connect with us via social media. Long time Roosevelt Island residents Laura and Giovanni Battistini are participating in the Break The Silence On Ovarian Cancer Run/Walk as part of the Ktty's Krewe team. The company Giovanni works for, Ferrero Open Innovation Center, recently moved to the Tata Innovation Center on the Cornell Tech Campus. 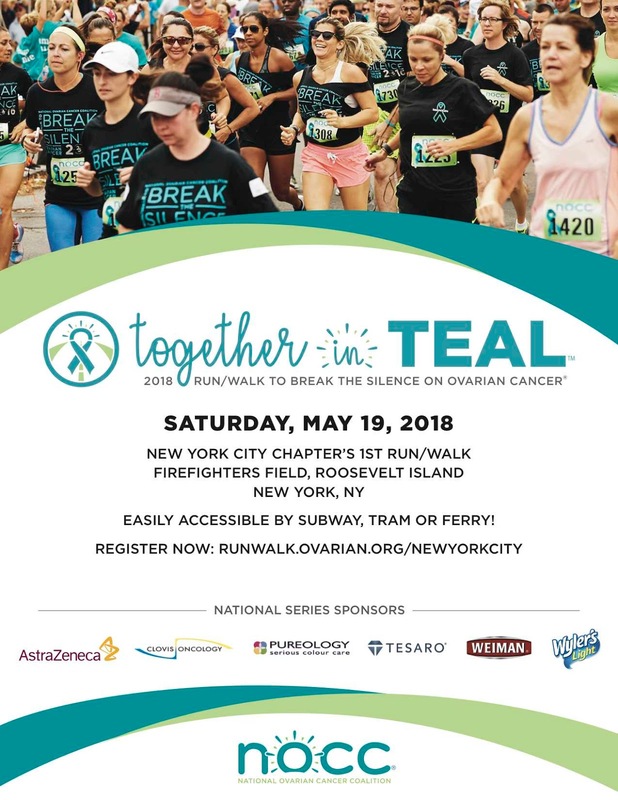 Click here to register, donate or volunteer for the Roosevelt Island NOCC’s Run/Walk to Break the Silence on Ovarian Cancer. A Roosevelt Island resident takes to Twitter to get a dangerous grounds condition fixed. Already busted my knees stumbling while running around there. Three years ago. Complained in writing thru official channels. Radio silence. So good luck with this! 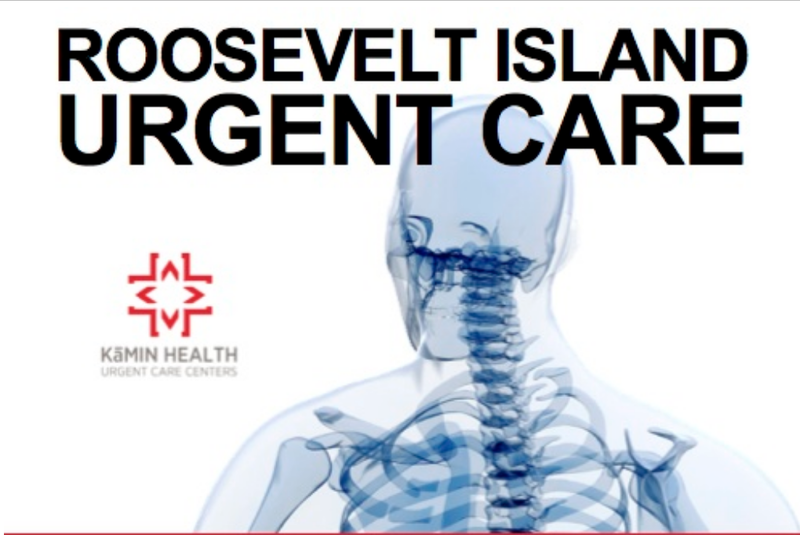 The Roosevelt Island Operating Corp (RIOC) needs to fix this before someone else gets hurt. Good afternoon, I am the new public information officer for @RIOCny. I'm inquiring about this and another question regarding the streets around the Octagon. I will respond shortly. We are aware of the issue at the perimeter of Octagon Field. We will have a crew there tomorrow to correct the situation. We will be awarding an RFP shortly for a contractor to build a bathroom/comfort station there as well as to replace the existing artificial turf, better LED lighting and make other needed structural improvements to that entire field area. That work is now slated to begin this fall after this summer sports season December 1. So until then 22 lights will remain broken leaving only 8 working? Assuming the field is available at a discount rate? To be fair the lights have been broken for a while. @RIOCny All it would take is a cherry picker and new lights in the meantime. In New York Fall 2018 means Spring 2020. The repairs to the existing lighting system is happening now. I know that an electrician is there fixing some wiring issues, half are already back on. The brand new LED light lamps is what’s going to get installed with the entire field renovation package to start on Dec. 1.
read this article by @ReedAbelson @julie_creswell on why patients are flocking to urgent care centers. The Michael Stoler Real Estate interview program focused on Roosevelt Island, primarily the Cornell Tech development but also a bit on Main Street retail and the new Riverewalk construction coming soon. Featured panelists: Arianna Sacks Rosenberg, Director, The Hudson Companies, Inc.; Kate Bicknell, Sr. Vice President, Forest City New York; Jennifer Klein, Dir. Student Services, Cornell Tech.